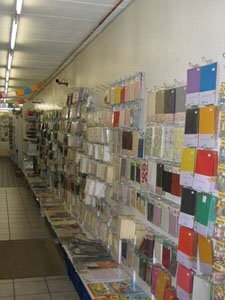 Many of you know Nellie Snellen from the techniques and products she has invented for making cards and for scrapbooking. Well known techniques from, her are for example: clippunches, Incire, floral punches, Diecut, layered stamps, precision stamps, Pontura, magic dots, folding dies, ribbon punches etc. <p,> Since about four years Nellie Snellen has her own diecut/embossing machines:1) the PressBoss A4 (NPB001), 2) the PressBoss-pro A4 (NPB002) and 3) the PressBoy-pro A5 (NPB003). All three have adjustable rollers, because of this you can turn all sizes of dies and embossing folders with the correct pressure through the machines, whereas you can always use the same set of plates. 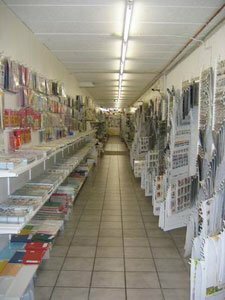 Next to the meanwhile very wellknown internetshop Nellie Snellen has since 1995 in Sevenum a hobbyshop with a very large assortment of products especially for cardsmaking and scrapbooking. You will find Sevenum on the crossroad of the highways A73 and A67 near Veno and about 15 kilometers from the border with Germany. Nellie en her employees Lula, Brigit, Sandra, and Marielle will help you there competently and friendly with all your questions. For painters Nellie Snellen has a wide assortment of Talens products. Are you looking for haberdasheries they are also available in the shop. All items in the shop are also available in the webshop www.nelliesnellen.nl. The shop is also in english language. We try to ship your order the same day.